Pre-listing inspections or inspections for sellers can be a valuable tool in the real estate process. 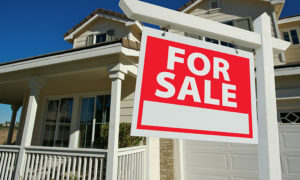 Prior to listing a house for sale it is very important to be aware of any potential problems or maintenance issues. Prospective buyers are quick to point out issues. As they might try to negotiate repairs before the purchase agreement. With a inspection from HomeTech home inspections, you can address and repair any potential problems. It is to your advantage to address them before a buyer and be well informed in the real estate negotiation process. A home inspection can point out any issues prior to listing a house for sale and a home owner can address these issues right away. From water leaks to regular service on heating and cooling systems, a home owner can take some major steps to prevent stress at the time of sale. Home inspectors play an important role in the home buying process, their reports noting repairs that need to be made or issues that need to be worked out in the contract before a sale goes through. re the sale goes smoothly. 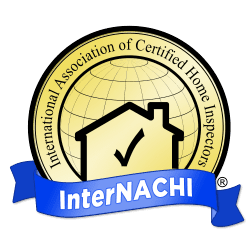 Tim Buell, president of the American Society of Home Inspectors, and local home inspectors offer their top tips. Water causes 99 percent of problems for homes, Buell says. “Make sure your house is water tight,” he says. That means making sure gutters and downspouts are free of debris and working properly, ensuring the roof is properly sealed, caulking around doors and windows and making sure the landscape is sloped away from the house. If you have a sump pump, make sure it’s working properly. Tom D’Agostino, an ASHI certified inspector with Ronkonkoma-based Long Island Home Inspection Associates, says homeowners should have their gutters cleaned professionally, not just in the fall when they collect leaves, but also in the spring and summer when tree pollen builds up. “I go on a roof to inspect shingles and flashing and I see gutters are neglected,” D’Agostino says. Check regularly under kitchen and bathroom sinks for leaks and have a plumber address any right away, D’Agostino says. Homeowners should also make sure that any exposed electrical wiring is covered and that junction boxes are properly covered with a watertight seal. Boilers should be inspected, cleaned and serviced by a heating contractor, D’Agostino says. Fired systems should be serviced on an annual basis while a natural gas system should be serviced every two to three years under a service contract. “Make sure there’s a ticket on the boiler that shows it’s been serviced,” D’Agostino says. 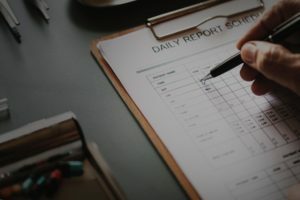 Homeowners with cesspools should keep track of when they are due for service and keep any related paperwork so they can keep track and so that a potential buyer is aware of the system’s service history. D’Agostino advises homeowners to not neglect bathroom showers and wall tiles. “Grout when you need it grouted and caulk when you need to caulk,” D’Agostino says. Keep bathrooms mold free by cleaning regularly. Cleaning outside is also important. Homeowners with vinyl siding should look into power washing, D’Agostino says. Buell recommends preparing driveways and walkways for winter with concrete sealers, such as V-Seal. Homes near saltwater — common on Long Island — can look into covering paint with a product that keeps it from fading, such as Rhino Shield. It’s also a good idea to have smoke and carbon monoxide detectors on every level of a home and make sure they’re in good working order with fresh batteries, D’Agostino says. Hank Jaworowski of Smithtown-based Precision Home Inspection of America says the best way to avoid issues from coming up when someone is interested in buying your house is to get a pre-listing inspection. If there are any issues, the owner should either fix them or disclose upfront that there are problems and note that they were taken into consideration when pricing the house. “A house will just sell that much quicker” with a pre-inspection, Jaworowski says.